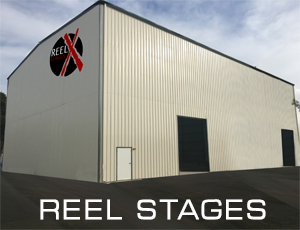 Reel EFX, Inc provides the entertainment industry with a one-stop mechanical special effects house. The company is also known industry-wide for its outstanding mechanical achievements, such as the Digital Multicam (150 still camera array), and the only fifty-foot Man-Made Tornado in existence. It has expert SAG Puppeteers available to bring inanimate objects to life, special effects equipment for sale & rental, as well as MOS stage space for rent, with corresponding production support. This site is designed to easily locate a specific film clip of effects in our database. Use the search function above to access the film clips by looking up the keywords.